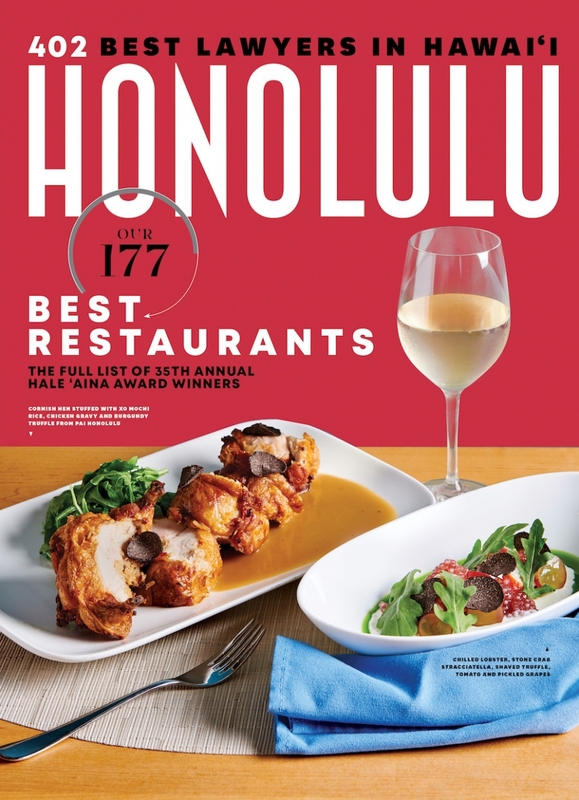 A Chef-driven restaurant in Honolulu, Hawaii. Featuring seasonal tasting menus and culturally inspired dishes. At PAI, we seek to inspire those around us to appreciate and savor the feeling of community that arises from dining together. We are dedicated to using in-house components and local ingredients. 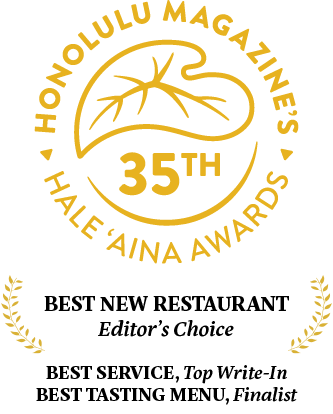 Established in 2017 by executive chef and owner Kevin Lee, PAI Honolulu offers a refined, yet relaxed, dining experience. Located in the Harbor Court atrium, across from the iconic Aloha Tower, the restaurant is open for lunch, happy hour and dinner. Enjoy a selection of plates to share, individual entrées, or our seasonal prix fixe or chef’s tasting menus. PAI Honolulu features a unique culinary experience at our 10-seat chef’s counter, where you will enjoy a 7+ course seasonal tasting menu, personally served by our chefs. Join us in our intimate 14-seat dining room and enjoy our Chef’s Tasting or Regular Dinner menu. We look forward to creating a memorable experience for you and your guests. Happy Hour, Tuesday - Saturday, 5:00pm - 6:30pm. Enjoy drinks after work at our 9-seat bar while enjoying delectable small bites + shared plates and cocktails created by our knowledgeable and skilled bartenders. Our semi-private lounge area is available for regular dining or private parties of 8 to 12 guests. We offer covered, outdoor seating and space for parties of up to 22 guests seated and 30+ guests cocktail-style. Enjoy Happy Hour and our regular Dinner menu! *We feature a 10 course Seasonal Chef’s Tasting Menu, an Ala Carte menu and a special lunch menu centered around our chef’s bread program. Our main dining room will be closed on Tuesday, April 16, for our LUX Wines Italian Tour. Sign up with your email address to receive news and updates from PAI Honolulu.